Ohio Attorney General Mike DeWine, Ottawa County Prosecutor James VanEerten, and the Ohio Ethics Commission announced the felony indictments after an Ottawa County grand jury session on Thursday. PUT-IN-BAY - Four current and former officials from the Village of Put-in-Bay are facing charges, including two indicted on felonies, following a lengthy corruption investigation. Put-in-Bay Mayor Bernard Mack McCann, 82, was indicted on two counts of having an unlawful interest in a public contract, fourth-degree felonies, and four counts of conflict of interest, first-degree misdemeanors. McCann is alleged to have used his position as mayor to secure waterline project contracts for a business associate, according to a news release from the Ohio Attorney General’s Office. Kelly A. Niese, 49, former Put-in-Bay fiscal officer and village clerk, was indicted on one count of theft in office, a third-degree felony, and one count of grand theft, a fourth-degree felony. Niese is alleged to have disbursed village funds to herself without authorization of village council. According to a statement issued by Bernard McCann through his attorneys, the conduct at issue concerns contracts the village entered into with PIB Investments, an entity said to have regularly performed construction services for the village for over a decade. According to Bernard McCann’s attorneys, state prosecutors are asserting that McCann is a “business associate” of PIB Investments “merely because” McCann holds a promissory note from its owner, Todd Blumensaadt, which dates back to the sale of McCann’s partial ownership in First Island Co. in 2008. The mayor’s children, Put-in-Bay village councilman Michael McCann and former village council president Melinda McCann Myers, are facing multiple misdemeanor charges. They are alleged to have voted on contracts in which they had a personal interest, as well as contracts in which family members had a personal interest, and voted on matters that would have benefited their personal businesses and family members. According to court records, Michael McCann’s alleged violations occurred on Feb. 3, 2014, and May 2, 2016. Myers' alleged violations were on May 2, 2016, May 27, 2016, and Oct. 12, 2015. 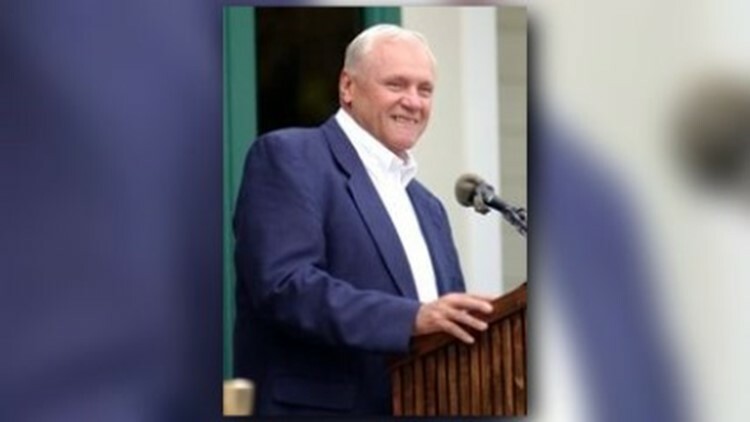 Dan Tierney, spokesman for the Ohio Attorney General’s Office, confirmed that Michael McCann's and Myers' charges were related to the joint corruption investigation of the Village of Put-in-Bay. Myers and Michael McCann issued a joint statement on Thursday disputed the conflict of interest complaints and said the charges were related to their service on Village Council. “The conduct at issue relates to certain actions taken during Village Council or Village Planning Commission meetings in which their personal property or the property of a McCann family member was involved,” they said. The charges are a result of a joint criminal investigation by the Ohio Attorney General’s Bureau of Criminal Investigation, or BCI, and the Ohio Ethics Commission, or OEC. The investigation began in June 2017 after a complaint by Put-in-Bay resident Keith Blumensaadt alleging the financial wrongdoing was forwarded to the Ohio Attorney General’s Office. Three months into the investigation, authorities with BCI, the Federal Bureau of Investigation, the Internal Revenue Service and the OEC, executed search warrants at numerous locations in Put-in-Bay and Port Clinton. Among the locations searched were the Put-in-Bay Police Department, the village’s government office, the Jet Express offices, the law office of former village attorney George Wilber in Port Clinton, and two properties of Todd and Alexa Blumensaadt, who own Jet Express ferry company. Authorities reviewed 50,000 documents as part of the investigation, according to Tierney. Between July and August, the investigation was completed and reviewed by a team of prosecutors, including VanEerten and the Ohio Attorney General’s Special Prosecutions Section, which will be handling the prosecution of the case going forward. These charges are not the first criminal complaints filed against the Put-in-Bay mayor. In April, McCann pleaded guilty to disorderly intoxication charges and paid a $90 fine. In May, he was also charged with having physical control of vehicle while under the influence, a first-degree misdemeanor, stemming from the same incident in April. He is scheduled for a pre-trial hearing on the physical control charge on Nov. 13 in Ottawa County Municipal Court.